Our lives often begin with an innocence and sense of exploration and fun. Kids seem to have the gift of being worry-free, butterfly chasers but sooner or later, the reality of life hits! The innocence and exploration is replaced with things like stress, self-doubt, and worry. The roads of life can take us to more challenging places, where we could really use the support of another person. 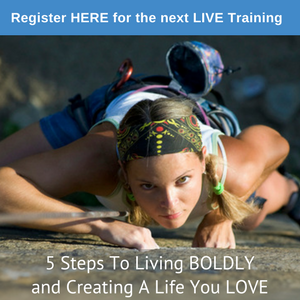 This is where an online life coach can be extremely valuable to navigate life’s twists and turns. So why hire an online life coach? As an online life coach I can help you identify where you currently are, where you want to be, and a plan and strategies for getting there. The journey of life is similar to a journey you might take on a road trip. As an online life coach, I can support you in making your journey meaningful and fulfilling, and this begins with identifying your starting point. Imagine trying to use a GPS that thinks you are starting in Chicago when you are really in Malibu. The GPS and directions would be useless. As with a road trip, it’s imperative that you identify your starting point, but with life, it can be a little trickier. Sometimes, we’ve been going down a certain road for so long, we don’t even think about it anymore. Eating ice cream every night is just the way it is! Living paycheck to paycheck is just the way it is! This unfulfilling relationship is just the way it is! The job with salary and benefits that we despise is just the way it is! We are stuck, and as far as we’re concerned there are no other options to even consider for ourselves. As an online life coach, this is where I can support you in identifying where you are in your life and what your current results are. 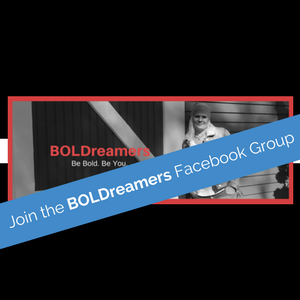 What I love to do as an online life coach, is to support you in changing your ideas about what is truly possible for you and to help you create a life that is truly fresh, fun, and fulfilling. Lastly, I walk you through a program, a proven time-tested system to get the results you most desire in your life. You know what they say…”If nothing changes, nothing changes!” And this provides you with the system you need to create the results you most desire. Being an online life coach is such a privilege for me to support people like you in this journey. If you’re desiring different results in your life, learn more about online life coaching here. You can also click on the video below. I offer a complimentary Breakthrough Session. This is important in identifying where you are at, where you want to be, and how I might support you in getting there. Click here to access my calendar and schedule yours today. Selecting an online life coach is an important step, so let’s make sure that it’s a good fit for both of us! Take a look at this video to learn a little bit more about me and what I do as an online life coach, speaker, and teacher. I am committed to your growth and transformation as well as my own growth and transformation, and that’s why I’ll never be without a coach or a mentor. It’s also why I’ve invested and trained with some of the leaders in personal development like Mary Morrissey, Bob Proctor, Paul Martinelli and Pam Sterling at Coaches On Fire. 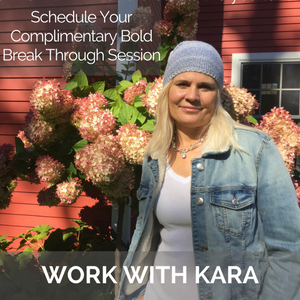 If you’re looking for an online life coach, be sure to call (570) 204-1518 or email kara@karasteckcoaching.com to set up your complimentary Breakthrough consultation.